When my friends come round I always like to make something homemade we can eat. I never ever buy cakes or tray bakes from the supermarket because it is really easy to come up with something quickly out of my cupboards at home. 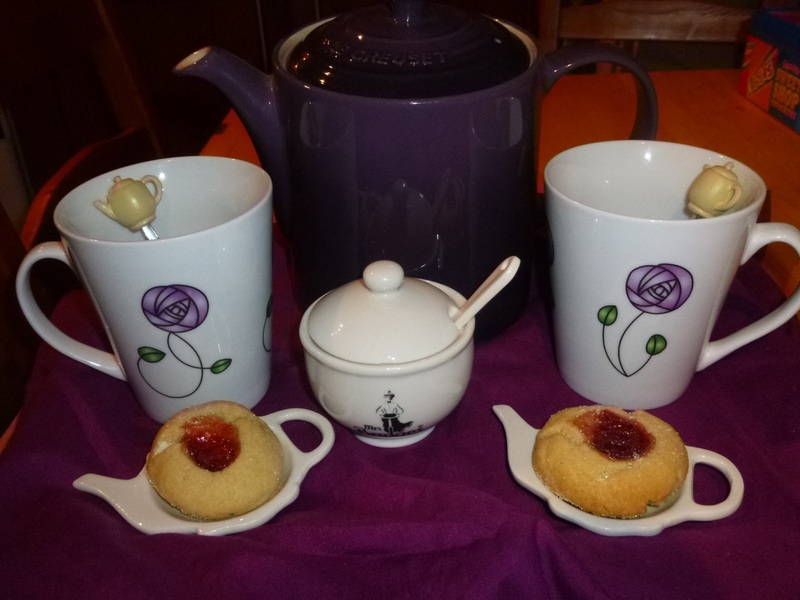 On Saturday my two friends came round for a catch up and this time I made them these little jam cakes. They are called thumbprint cookies in the recipe book but I don't think they are cookie-ish so I need a new name for them! Dimple cakes? 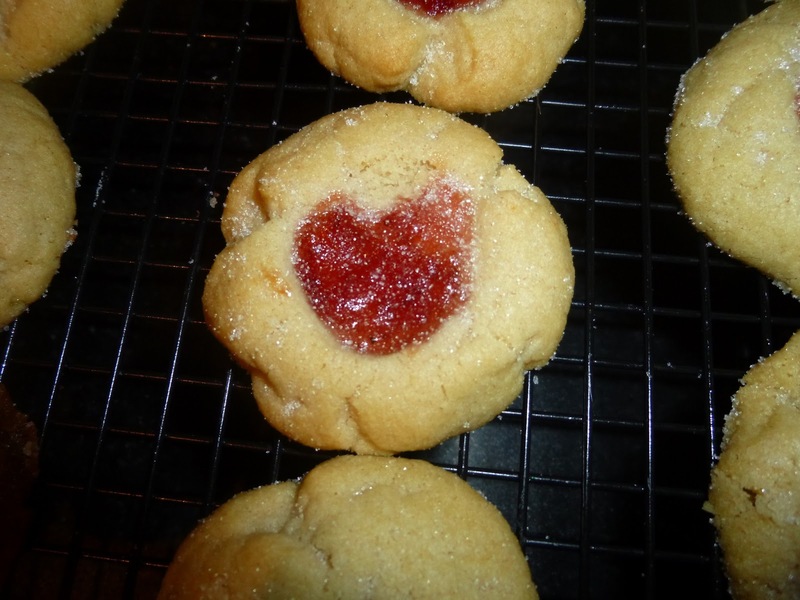 Anyway the little jam cakes were so simple. I got the recipe from a book called Sweet Treats. 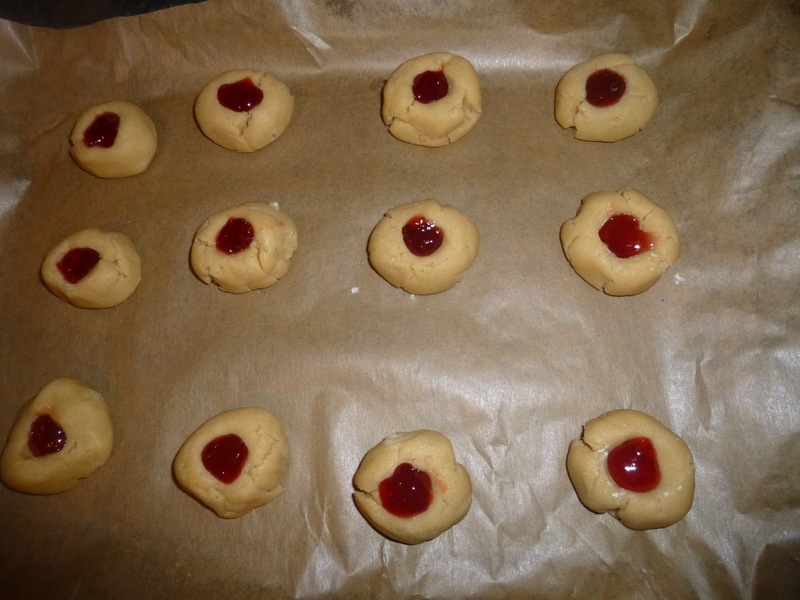 It has lots of ideas for these "thumbprint cookies" like different flavours of jam, chocolate chips, dried fruit and sprinkles but I stuck with jam and my favourite nutella - I adore a nutella recipe! Although this time I much preferred the jam. The nutella was too hard once the cakes had cooled. strawberry jam - or jam of your choice/sprinkles etc. Beat the butter until soft. Add sugar. Add orange zest and vanilla extract. Weigh out all dry ingredients and mix. Add half to the butter/sugar mixture. Mix until just blended. Add the remaining flour mixture and mix until blended. Scoop up rounded spoonfuls onto a baking sheet lined with baking paper. Using your thumb/finger/end of a small rolling pin dipped in flour make a dent in the rounds. Fill each with a small amount of filling such as jam. Bake for about 15 minutes until just browning. I also sprinkled these with sugar as soon as they were out of the oven - because I can't get too much sugar into myself! Remove and allow to cool on a rack for 10 minutes until completely cooled - you do not want hot jam burning your mouth and ruining the rest of your enjoyment of these babies.